when they lived securely in their own land, safe and unafraid. I'll use them to demonstrate My Holiness with all the nations watching. He is the only one with the power to remove our shame so we may stand tall and live "in" and for Him. He is the only one with the power to take the darkness of sin and make it into "beautiful" for all to see and know Him through. He is the only one with the power to have all things work for His Glory. All things. 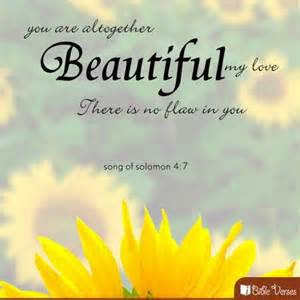 Beautiful are we "in" Him.